The Bishop Museum in Honolulu. There are numerous museums in Hawaii delighting anyone who loves history, science or culture. From military museums to Polynesian cultural centers and Hawaiian art galleries, there are a variety of options for you to explore. So for those interested in them, here are useful suggestions on museums in Hawaii. Honolulu is the place to be for historic landmarks and museums. 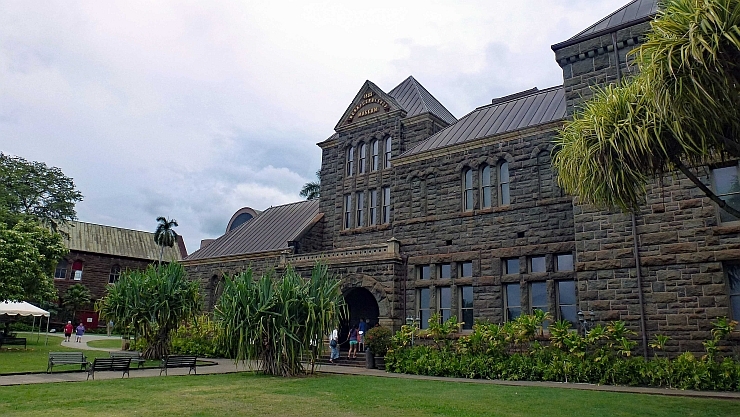 The award-winning Bernice Pauahi Bishop Museum is one of the largest museums in Hawaii. For that reason, it is a must-see for all who want to gain knowledge on Hawaiian culture and history. Also, there are other museums on Oahu you should check out. 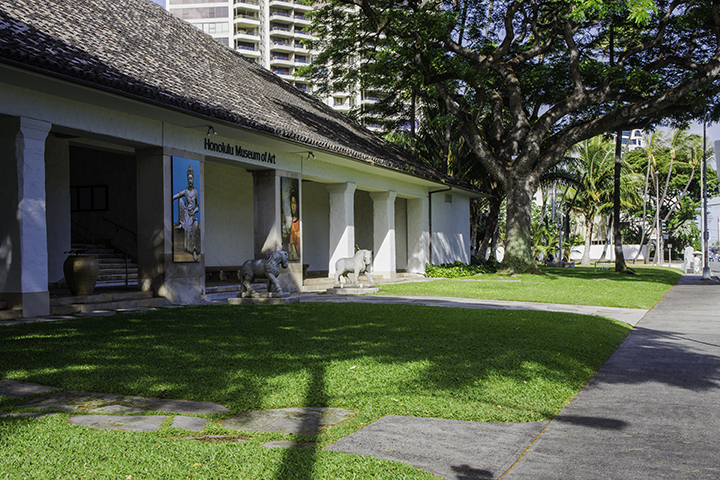 The Damien Museum is for those interested in the life and service of Father Damien. He selflessly administered to those afflicted with Hansen’s Disease in the late 1800s. The Mission House Museum documents Hawaii’s 19th century missionary period. While the Lucoral Museum in Waikiki showcases gemstones, fossils and geologic treasures from around the globe. Good art museums include the Hawaii State Art Museum, Honolulu Museum of Art and the John Young Museum of Art. You can also learn more about the Aloha State’s strategic role in World War II at various military museums. They include: the Pacific Aviation Museum at Pearl Harbor, Battleship Missouri Memorial and USS Bowfin Submarine Museum & Park. Alexander & Baldwin Sugar Museum on Maui. The museums in Maui range from outdoor historical exhibitions to sugar industry museums and local artist galleries. At the Hana Cultural Center & Museum, visitors can view a historic jail, courthouse, traditional Hawaiian hale (or house) and history museum. While you can learn more about sugar’s role in Hawaii at the Alexander & Baldwin Sugar Museum. While here, you can also see the remnants of the Pu’unene Sugar Mill next door. In Lahaina, families can learn about the whaling industry at the Lahaina Heritage Museum. For art lovers, Maui also has the Hui No’eau Visual Arts Center in Makawao, Maui Arts & Cultural Center in Kahului and Bailey House Museum in Wailuku. There are museums, galleries and parks on every side of Kauai. In Lihue, the Kauai Museum holds collections by native artists on the island. The Grove Farm Homestead Museum is a historic home on over 100 acres of former sugar plantation land. 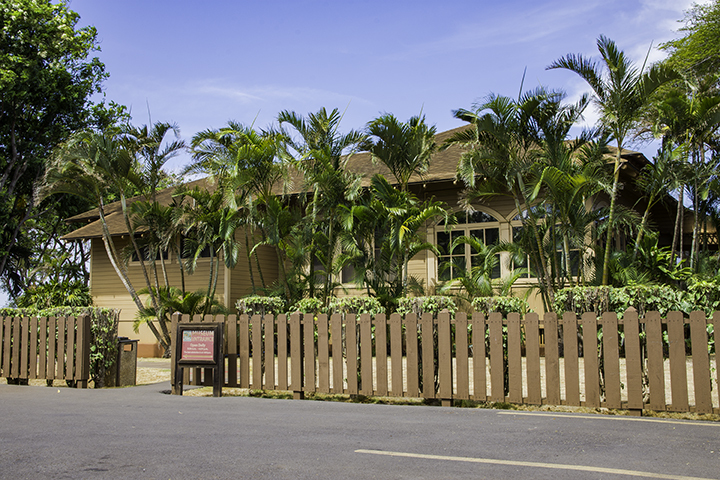 Kids can also enjoy the Kauai Children’s Discovery Museum in Lihue. At the Koke’e Natural History Museum adventurers can learn about the geology and history of Waimea Canyon and the Koke’e area. In Waimea, there is the Waimea Sugar Mill Camp Museum. While near Princeville, you can visit the Wai’oli Mission House museum. It has displays and artifacts dating back to the 1830’s. Pu’uhonua o Honaunau National Historical Park on the Big Island of Hawaii. With a wide array of unusual landscapes and a wealth of history, the museums on the Big Island are diverse and unique. You can find one of the most popular venues within Hawaii Volcanoes National Park. Here, families can wander through an informative gallery offering insights about Hawaii’s volcanoes at the Thomas A. Jaggar Museum. The Big Island also has other noteworthy cultural museums as well. 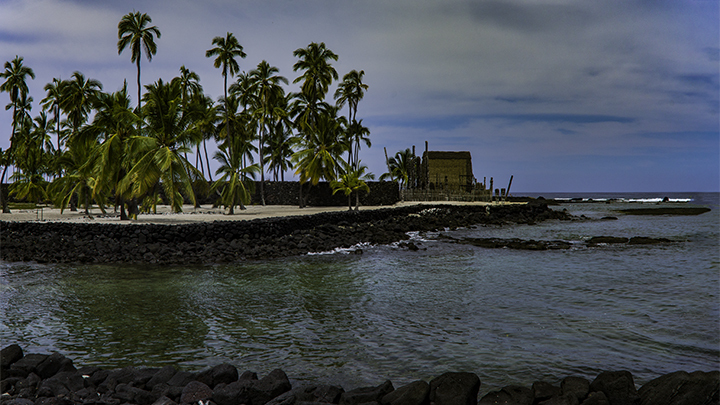 One such example is the Pu’uhonua o Honaunau National Historical Park, covering 180 acres of wooden carvings and temples. Another example is the Pu’ukohola Heiau National Historical Site. It’s an outdoor exhibit with the biggest heiau in Hawaii. King Kamehameha built this heiau in the 1790’s. Coffee-lovers can venture down to South Kona where there is the Kona Coffee Living History Farm. Here, visitors can also learn about the history of Hawaii’s coffee industry and how local farmers produce Kona coffee today. For those staying in Hilo, another major tourist attraction is the Imiloa Astronomy Center. The center, resembling Hawaii’s volcanoes, has informative galleries and offers interesting hands-on experiences. Other Hilo favorites are the Lyman House Memorial Museum. It has a large collection highlighting Hawaiian culture and treasures from the sea. While the Mokupapapa Discovery Center is for families who love marine life and Hawaiian natural history. The Pacific Tsunami Museum of Hilo features details about past tsunamis and ocean patterns. Finally, the Onizuka Center for International Astronomy offers stargazing opportunities. It also features a wide range of astronomical exhibits. History buffs can visit the R. W. Meyer Sugar Mill Museum and cultural center near Kualapu’u. By doing so, you’ll get a glimpse into Molokai’s past. While planning your trip to the 50th State, be sure to add one of these museums to your list of activities in Hawaii.